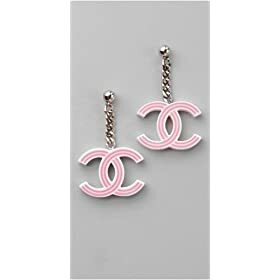 These authentic vintage Chanel earrings have a dangling silver tone chain and a striped, resin interlocking Cs charm. Post closure. 1.5 cm long. * Note: This is an authentic vintage piece. Gentle abrasion is expected. Founded by college friends Seth Weisser & Gerard Maione, What Goes Around Comes Around emerged as a carefully edited boutique in Soho, New York. After years of travel around the world in search of the finest vintage fashion, WGACA has expanded to include a time vault and archives, which houses a collection of fashion’s most extensive period in the world.